Robot Chicken Star Wars Special 3 Blu-ray Review. 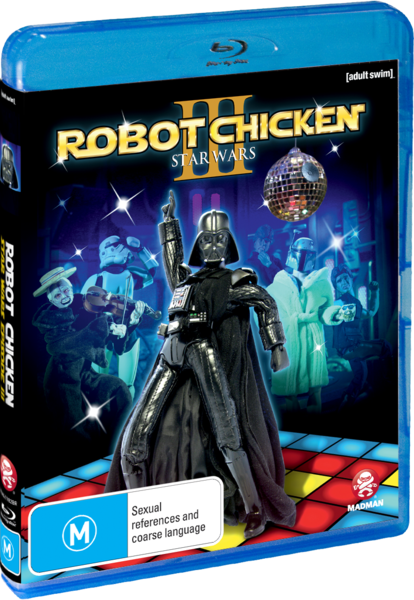 This is one special that all Robot Chicken and Star Wars fans should add to their collection! It doesn't get any stupider than this (no offence Robot Chicken gurus) but this is the most whacked out, ridiculous and entertaining 45 minutes of escapism that I've had the pleasure of watching in a long-time. Once again the creators of Robot Chicken, led by the talented Seth Green and Matthew Senreich create one of the weirdest Star Wars experiences to date. 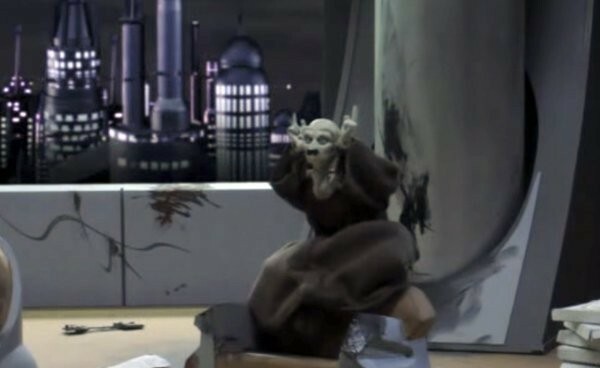 The premise behind Robot Chicken Star Wars Special 3 is the last few moments of Emperor Palpatine's life beautifully laced with The Who's Baba O'Riley after Darth Vader tossed him over the edge of a chasm in the Death Star (Star Wars The Return of the Jedi). From here, we get a variety of muddled yet highly entertaining flashbacks that are riddled with Star Wars and pop culture references about the life and times of Palpatine. Apart from the Emperor, we are also given an insight into the lives of Boba Fett and Gary... the Stormtrooper! Did I mention Padme giving Anakin a pole dance? Yup... it's all here in this whacked out Star Wars special. There's so much fan service in this special that trying to pick your favourite moment is actually quite a daunting task. However for me, some highlights included Boba Fett playing "ball" with his father's helmet when he was a kid to the amusing "Prune Face" montage, a background character in Return of the Jedi who actually didn't do much and even got an action figure... When the Face is a prune, the action goes boom! From musical segments to Gary the Storm Trooper accidentally injuring an Ewok on a speeder bike and trying to put it out of its misery, this special is definitely not for the politically correct. The special even tries to fill in some "gaps" from the movies such as why Boba Fett was a big klutz in Return of the Jedi... he was actually drunk to how Princess Leia managed to strangle Jabba the Hutt... he actually choked on something. Priceless Star Wars moments. 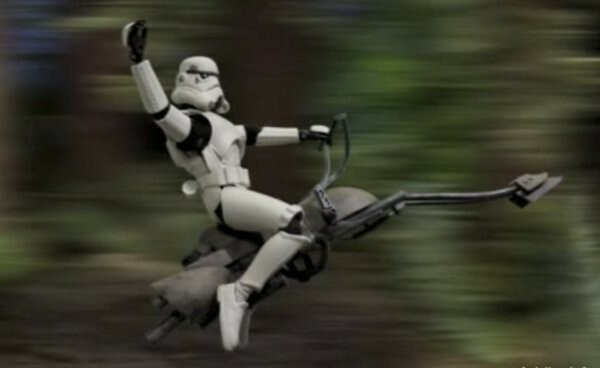 If you're a Star Wars fanboy or girl, than Robot Chicken Star Wars Special 3 is a must watch DVD or Blu-ray that had me smiling from ear to ear... not to mention laughing my guts out! There are way too many laugh out moments in this special! Apart from the relatively short 45 minute special, there is a wealth of special features from commentaries, making of snippets and a thoroughly amusing visit to Skywalker Ranch that stars none other than George Lucas himself! As the guys from Robot Chicken chat to George, they have no qualms in making a mockery of some the scenes from the new films with even George laughing along. Mr. Lucas actually has a sense of humour. In terms of video quality, the Blu-ray version of this special looks amazing and makes the stop animation stand out even more. There were no errors whatsoever in this presentation just vibrant colours, sharp images and deep blacks. Audio even supports Dolby TrueHD 5.1 to give your surround sound speaks a shot. All in all, this is one well made presentation from the folks at Robot Chicken! So what are you waiting for? Go out and buy this special now!